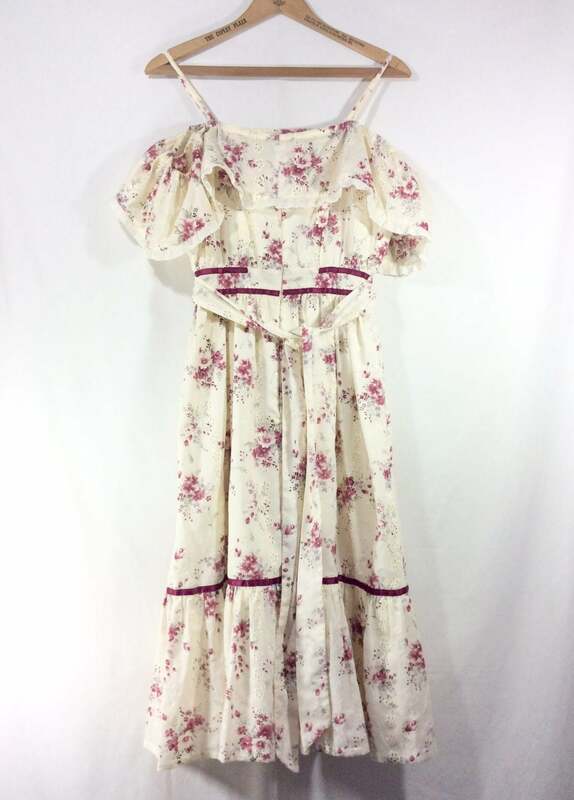 This pretty Gunne Sax inspired dress is perfect for any warm weather occasion! 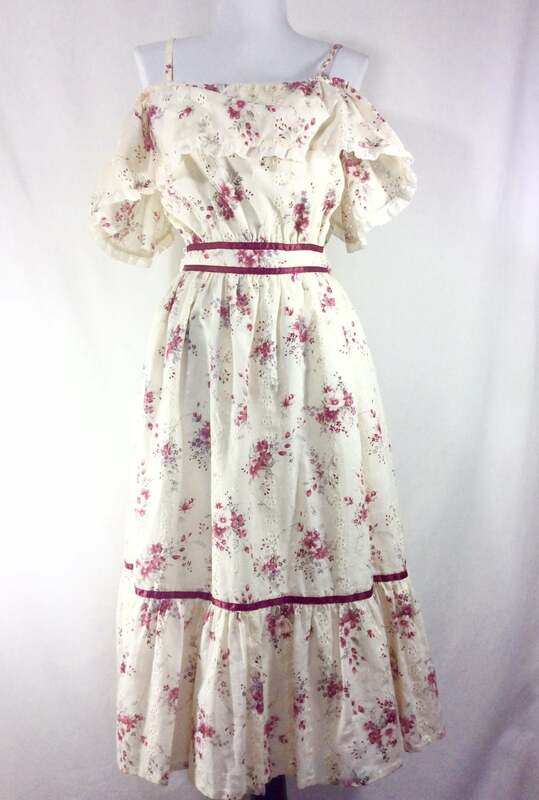 The dress is beautifully hand made, likely from a Gunne Sax inspired pattern from the 70s. The dress fits snug on a size 4 mannequin, please see measurements below for exact fit. The shell fabric is made from a lightweight cotton eyelet, with a pretty floral print. The interior is fully lined with a breezy cotton muslin. The dress closes up the back with a 15 inch hidden zipper. The spaghetti straps have a little extra allowance so you can shorten or lengthen them as needed. 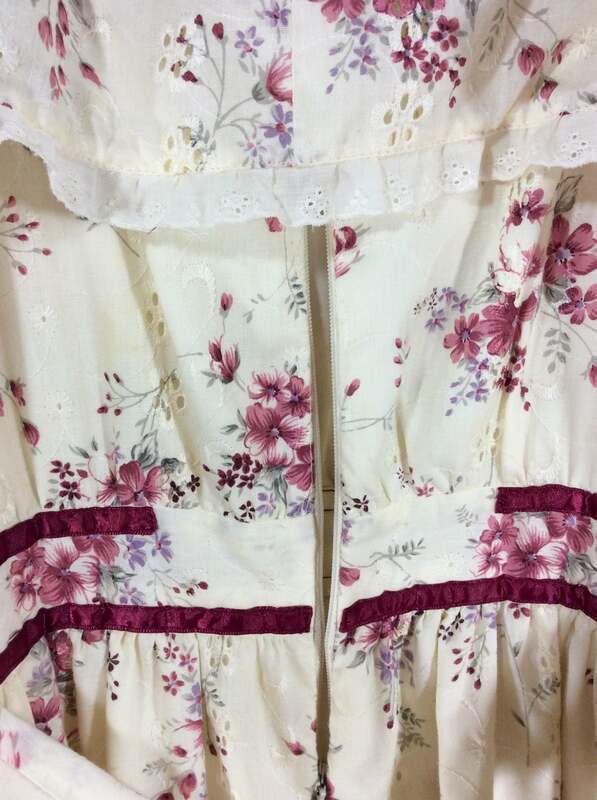 This dress has lots of lovely details such as a burgundy satin ribbon trim, and lace ruffles. The neckline extends off the shoulder, giving it a flouncy, feminine feel. 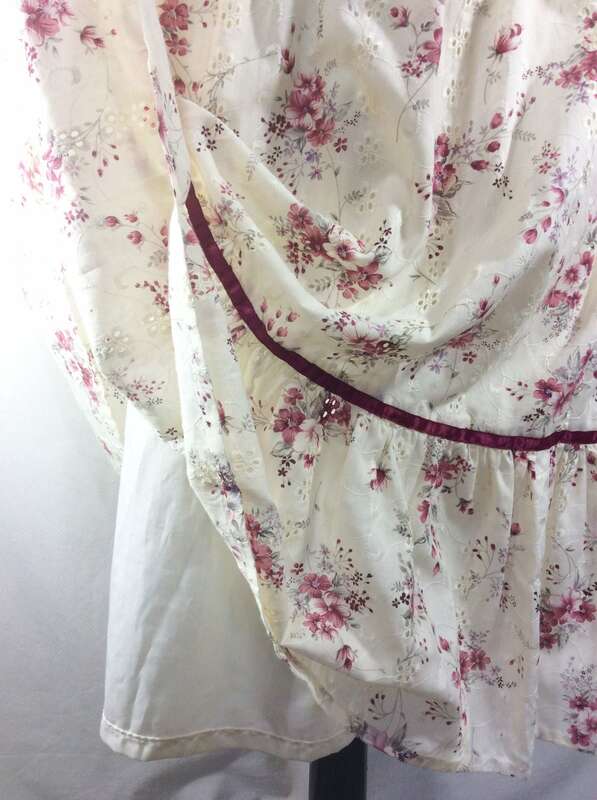 A belt of matching floral fabric is sewn in at the side seams to accent the smallest part of the waist. There is a small slightly yellow spot just to the left of the zipper (see photos) but it is hardly noticeable unless you REALLY look for it. 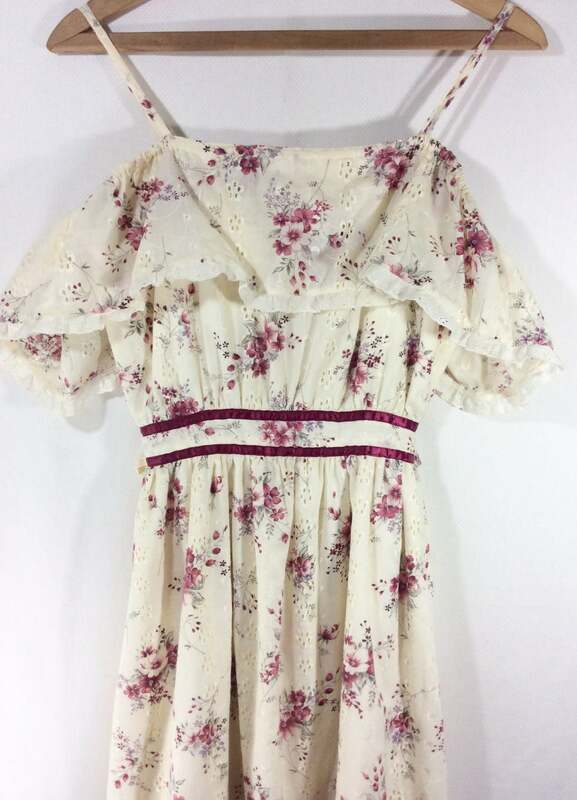 Over all this garment is in fantastic vintage condition and would look great paired with your favorite cowgirl boots or pretty strappy sandals! Bodice length- 10.5 inches long. Skirt length- 27 inches long.